If we have a no deal Brexit there is a chance that we will have to fulfill the conditions that other non EU countries do, which is a blood test at least 30 days after rabies vaccination to prove it has worked. Then wait for 3 more months before travelling. So that is 4 months wait in total. If the blood sample fails the blood test then a booster rabies vaccination will have to be given, another 30 days waited and the blood sampling re done, then have the 3 month wait. It has been suggested that to increase the chance of the first sample passing the test, a rabies vaccination booster should be given at the start of the 30 day period, regardless of when the pet’s current vaccination expires. A further problem is that the blood test has to be done at an EU certified laboratory and the current UK labs may no longer be EU certified after Brexit. Defra will not give an assurance that a blood test done by such a UK lab would still be recognised as having been done in an EU-approved laboratory after a hard Brexit. So one way round this is to send the samples to a certified lab on mainland Europe (there is one in Germany that has been used). 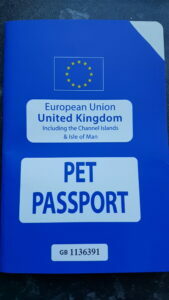 The best case scenario is the Pet Passport scheme stays the same as now. 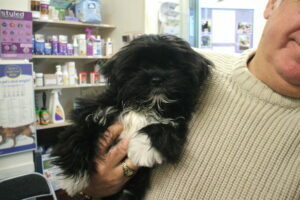 There is another option, because the UK is rabies free we could get an exemption to avoid the 3 month waiting period. The above is the most up to date advice issued this month. So not much use at all. The earliest anyone will have to do anything is the end of this month (4 months before Brexit) so everyone should wait until then in the hope that the situation becomes clearer.. It may be that if you want to be absolutely certain of taking your dog in the immediate weeks after Brexit you will have to have the blood test and need to start planning early.